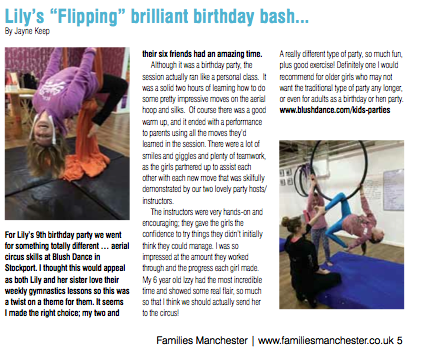 A unique and fun party theme for kids aged 5 to 16. The group will learn how to perform tricks and skills straight from Cirque Du Soleil. Skills which develop co-ordination, strength, fitness levels, team work, and balance. 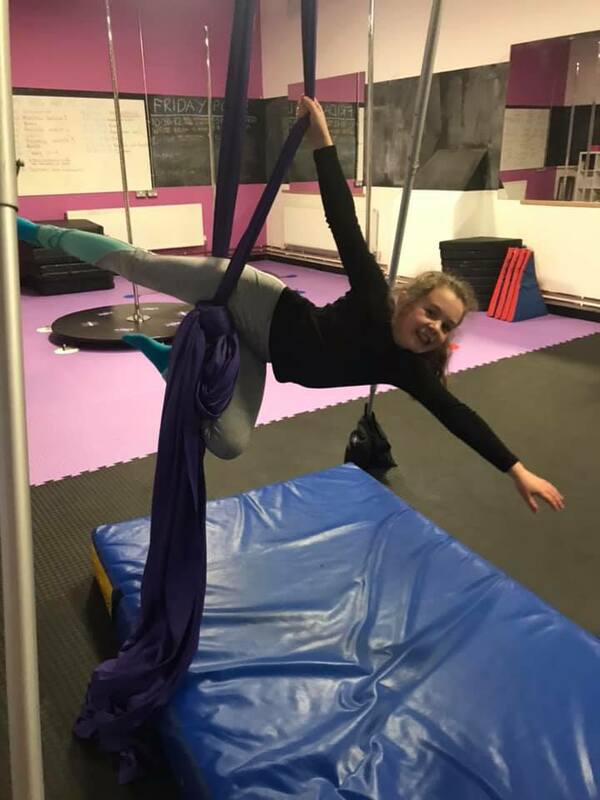 All kids aerial parties are held at our bespoke designed aerial studio in Stockport which has free parking.. We hold parties on Saturday and Sunday afternoons from 11:00am and week days between 10:00-4:00pm. 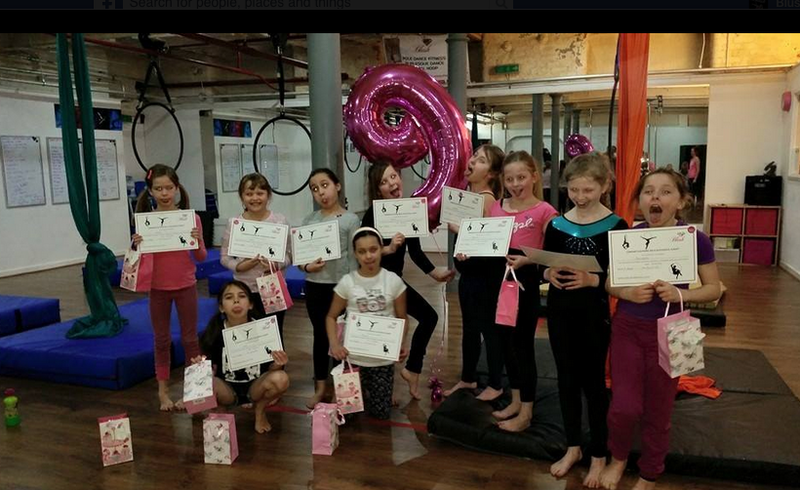 We can accommodate parties for up to 18 children. 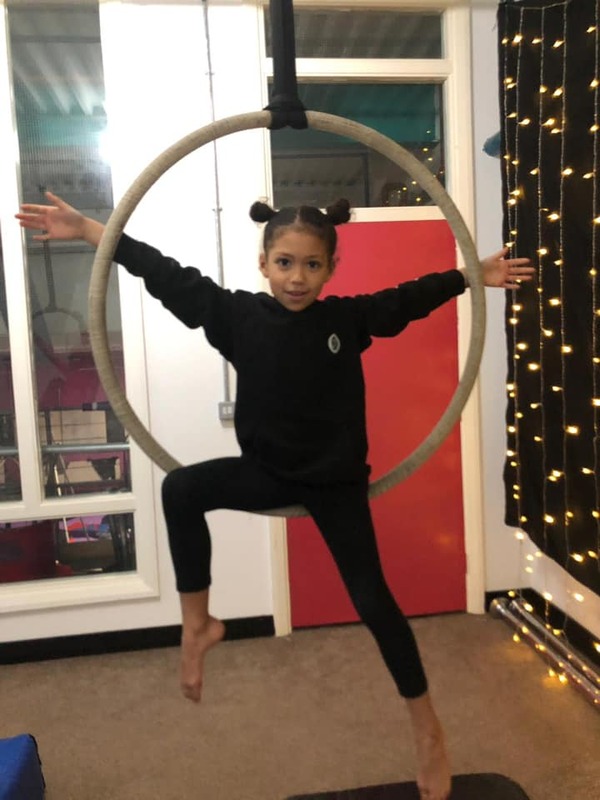 Our prices are competitive and include studio hire, 1.5 or 2 hours of tuition with one or two teachers depending on party size, drinks of juice for each child and a performance for parents to watch at the end of the session. 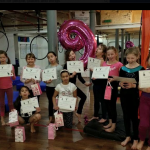 We are happy to include handing out a small snack half way through the session with the drinks we provide and we can bring out the cake, sing happy birthday and hand out cut up cake and goody-bags at the end of the session (cake, goody-bags and snacks are provided by you). All parties are lead by qualified and DBS checked coaches. You can see our team’s qualifications in about us section. 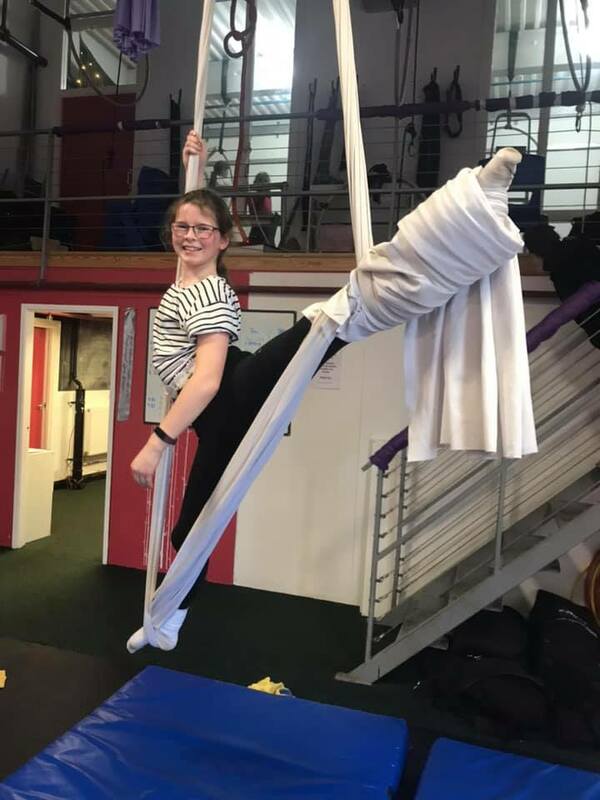 Up to 9 children: 90 minute party which includes party games and a lesson on either the aerial silks or aerial hoops with teachers. Children will learn moves on the equipment and also a routine to perform at the end. 10 or more children: 2 hour party which includes party games and a lesson on both the aerial silks and aerial hoops with teachers. Children will learn moves on the equipment and also a routine to perform at the end.